Foshan Sanshui Yingjie Precision Machinery Co., Ltd. (Brand: New King Time) has passed its twenty-five-year birthday. The deep accumulation of twenty-five years makes today's New King Time not only as the mainstay of ceramic glazing and printing, but also shines in the textile field and become a new force in textile digital printing equipment. Mr. Peng Jichang, the general manager of New King Time, as the witness, participant and leader of the New King Time, shared the development experience and experience of the company in the interview process. He admits that the cross-border textile field is the choice made by New King Time in the ceramic industry market demand bottleneck. In the future, they will optimize internal management, seize the opportunities contained in the era, and create new glory. When summing up the development process in the past 25 years, Peng Jichang lamented: It is not easy to walk along. Since 2015, the ceramic tile industry has been in a downturn, demand has plummeted, resulting in continued overcapacity, causing brutal price competition and market reshuffle. 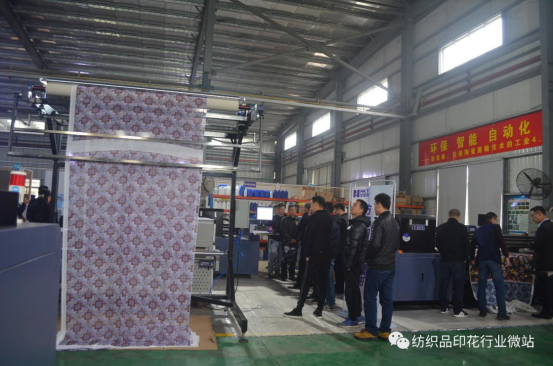 Some ceramic tile manufacturers and supply chain companies have been ruthlessly eliminated, New King Time mainly dealing with ceramic glazing and printing machines is also inevitably challenged. Faced with the bottleneck of enterprise development, Peng Jichang realized that it is difficult for a single industry or project to support the development of most supply chains and even endanger the survival of enterprises. Therefore, he proposed the "321" strategic project in order to break the deadlock and open up new horizons. The so-called 321 project refers to three major projects (antique brick equipment, inkjet machines, automation engineering), two core technologies (digital, intelligent) and one purpose (customer interests). "If we can develop several projects together and synergistically, we are not afraid of the weather changing." Peng Jichang said. Under the guidance of the 321 project, after three years of hard work, the strategic transformation of New King Time has got its results. Not only the new technologies have been promoted and applied, but also profitability has been further improved, and its performance has been stable. As part of the breakthrough of thought, New King Time has made great strides in the new textile printing field. Its main textile scanning paper machine, high-speed belt conveyor and Single pass textile inkjet machine have been sold to Guangdong, East China, India, Pakistan, Bangladesh and other countries and regions, which are recognized by customers. This is not a small achievement for New King Time, which officially started selling textile printing equipment in 2016. 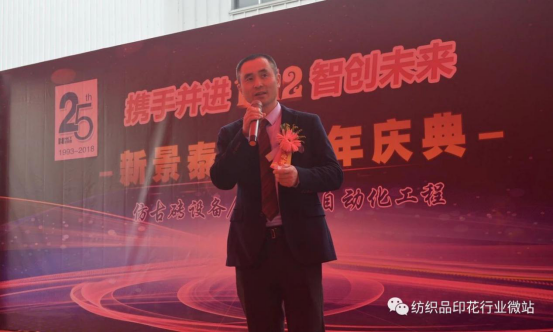 “Although we don’t have experience in the textile industry, we have a professional digital printer R&D and service team, and our digital printers have accumulated over the past decade and mature technology.” Peng Jichang pointed out that the ceramic field has made New King Time growing with less resistance and the R&D investment is reduced, and the road is smoother. 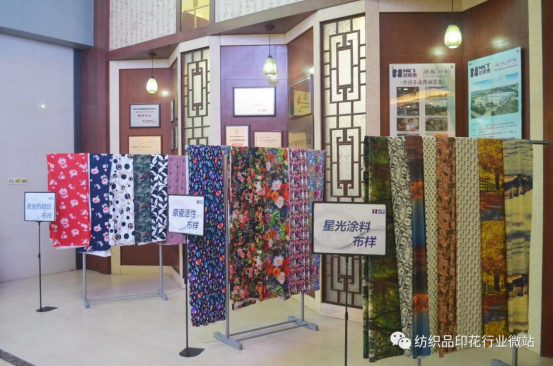 Peng Jichang always believes that textile printing is an incremental market, but growth does not mean that everyone can live well, the market is very competitive, and there are constantly exiting companies in the process of growth. The survival of New King Time is: to be a humble and good scholar, to "see the good and the best"; to be a dynamic innovator, and constantly develop new applications. There are two stages, on the beginning stage, the company is in line with the world's outstanding brands, absorbing the experience of the predecessors, catching up with the advanced technology level of the peers, and then catching up with the industry trend, standing at the forefront of the industry. "As for the new application, everyone is at the same starting point; we have more chance to win." Peng Jichang said. 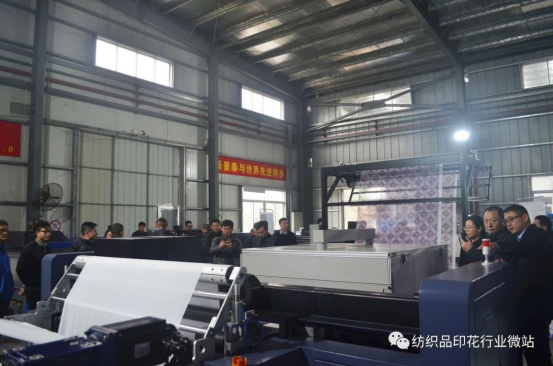 After more than three years of intensive cultivation, now New King Time has basically entered the second stage, that is, the technology is becoming mature in the active and ordinary distributed printing technology, and has caught up with the excellent level of domestic and foreign counterparts. At the same time, some new application programs have been introduced, such as the recent textile coatings, high-temperature dispersion direct-injection digital printing technologies, which are at the advanced level of the peers. Peng Jichang said that the textile field needs to be planned in the long run, so they converged sharply, laid a solid foundation, and spent most of their time delving into machine technology, thoroughly understanding the application, constantly transforming and improving the performance of the machine, which have become the support of its long-term development. New King Time also set up a professional marketing team for textile projects and a dedicated after-sales service team to prepare for the long-term development. In the future, they rely on the accumulation of domestic and foreign markets in the past 25 years, the simultaneous promotion of domestic and foreign markets, broadening the sales area, opening the door to more markets, and maintaining zero distance from the world's advanced products by participating in international competition, enhancing the ability of coordinated development and moving to be a famous textile digital printing equipment. 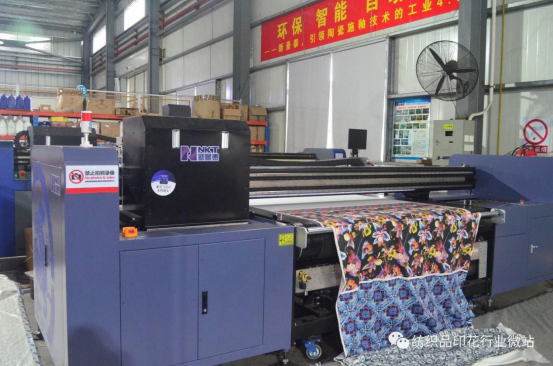 In recent years, the technological advances in the field of textile printing of New King Time have been due to its diligence, and because they are constantly aligning the equipment with the ink and print nozzles in the supply chain. Peng Jichang said that New King Time maintains close communication with ink suppliers. In order to improve the adaptability of the machine to ink, various tests are continuously carried out, and the money and energy invested may be much more than many other companies. Nowadays, high-quality paint inks and high-temperature disperse inks are scarce on the market. They hope that through close cooperation, some solutions for mass production of customers can be developed as soon as possible. In terms of nozzles, New King Time and industrial nozzles are also deeply involved, including brands such as Xaar, Kyocera, and Starlight. They are committed to discovering cost-effective, long-life, and compatible nozzles and reducing the cost of equipment users. Peng Jichang specifically mentioned the development of domestic sprinklers. "We pay attention to domestic nozzles, maintain good contact with some domestic nozzles R&D companies, and also want to promote their progress. However, compared with decades of experience abroad, huge capital investment, the research and development expenses of domestic nozzles are slightly less, they need to make up for this shortcoming in order to support them to overcome key technologies and enhance their competitiveness." At present, New King Time is the main manufacturer of Kyocera and Starlight. The printing equipment can be equipped with up to 3 rows of Kyocera nozzles. With the increasing difficulty of domestic printing orders, the requirements of printing machines for printing factories are getting higher and higher. New King Time said that, in the future, it will focus on improving printing accuracy and printing speed to meet the needs of printing production. Enterprise management is the basis for the survival and development of enterprises. Some even say that in the modern economic and social competition, enterprises rely on science and technology and rely on management. Enhancing the level of internal management of the company is conducive to establishing a clear development direction for the company, so that each employee can fully realize their potential, thereby enhancing the operational efficiency of the enterprise. Peng Jichang holds the same view. He hopes to optimize long-term competitive advantage by optimizing internal management. Especially in the process of New King Time's promotion of multi-project management, it needs appropriate business philosophy and management methods to guide the healthy development of the company. To this end, they chose to introduce the famous Kyocera Amoeba management of Kazuo Inamori. Through a series of trainings and practices, the company culture and strategy will be integrated to create a competitive team and a competitive enterprise.